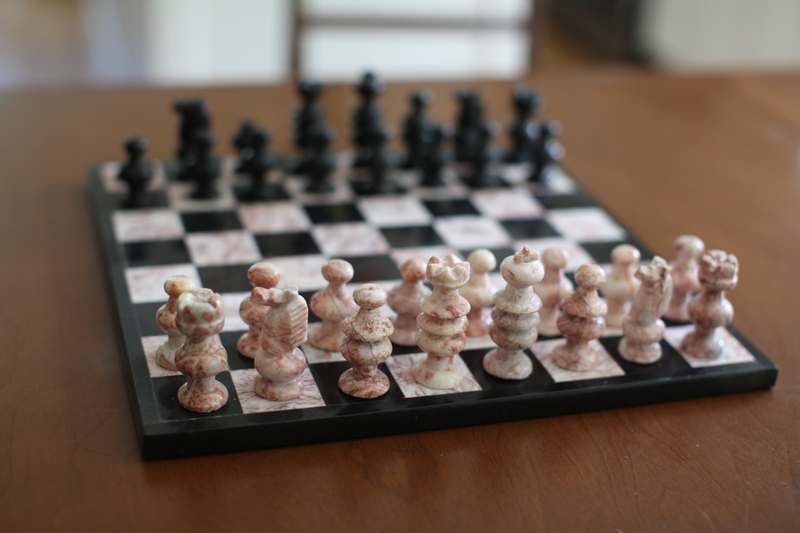 After a week of playing chess, I’m pretty hooked. I was having drinks with a friend the other night and she asked me what it was about the game I liked. 1) You learn something new just about every time you play. You can spend the rest of your life playing and never fully know the game. It’s always interesting because there are so many possible iterations. Through this project, I like finding things I can continually learn from over the course of my life. Roasting coffee is like that. Learning about the nuance of wine is a life-long endeavor. Humphrey Bogart made a living off street chess during the Depression before he became the iconic actor we know today. When interviewed later in life asking what mattered most to him, he replied that chess was one of the most important things to him. Chess may have lost a bit of its luster in popular culture with the onslaught of video games, apps and other distractions, but it is still alive and well. I imagine it will continue to thrive long after Angry Birds has come and gone. If anything apps and online gaming allow more people to get into the game and find people to play with. 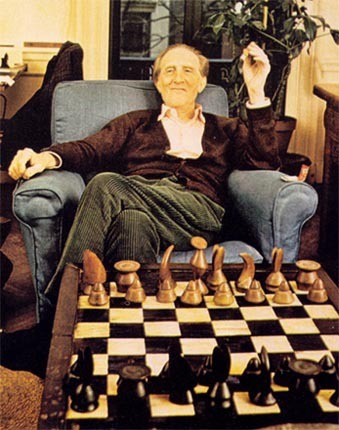 I just need to taper back my playing a bit or I’ll be heading into Duchamp territory. I still have more weeks to do. A lot of us just want to dive into things in life and believe we can hold our own by some God-given talent. When I was in college, I went skiing for the first time with some friends and they gave me a few pointers, pointed me down a blue slope (an icy, NC blue slope) and I was on my way. A very fast, scary and out-of-control way it was. The problem was that I had no familiarity with skiing, so the pointers did me no good. My friend’s boyfriend caught up and grabbed me right before I went through a fence and into a ravine. I didn’t put skis on again for a good 15 years. Chess is not necessarily that life threatening (although there are numerous historical examples of chess games averting real-life battles) but without fully understanding what you’re getting into, you can easily find yourself completely out of control. Earlier in the year when I did Wintering Week I took a ski lesson for the first time and it was like night and day. I slowly became acclimated to what it feels like to maintain control on skis and only progressed when I was comfortable. With chess, instead of diving in with the same reckless manner as when I first tried to ski, I decided to start with a lesson and slowly, patiently break it down from the beginning. 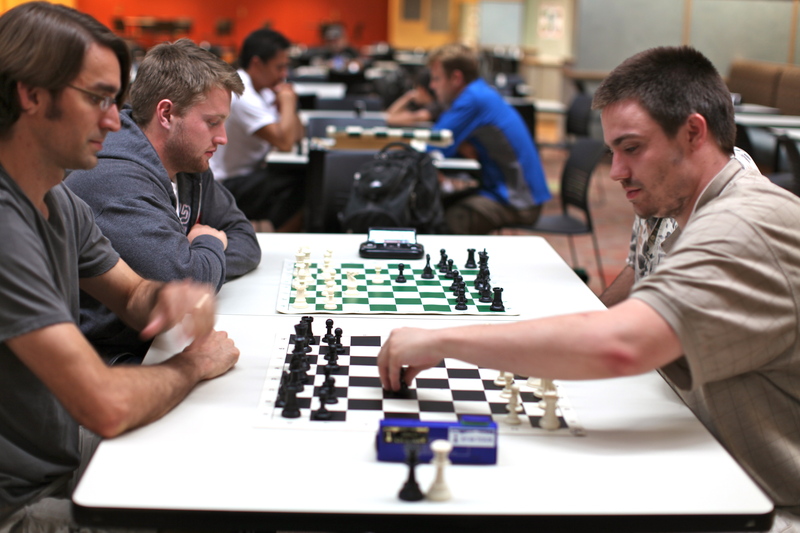 There are quite a few resources for learning to play chess in Colorado. Yesterday I had my first lesson with Paul Szeligowski who teaches chess full time to people of all ages and skill levels. He just finished up with a Summer camp teaching K-12 and his teaching has led to numerous state champions. Now he’s stuck with me for an hour or so a week! I really enjoyed my lesson yesterday. It helps to have someone who can start from the beginning (with the patience of a teacher) and help you progress at your speed. As any good teacher would do, I have been assigned homework! 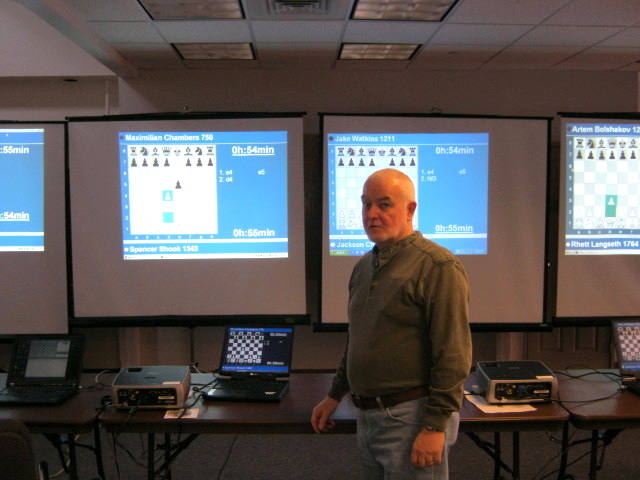 Paul talks about learning chess like learning a language. You have to learn words, construct sentences and practice speaking. I think many people that just get in and play focus on offensive moves vs focusing equally on preventing tactics being used on them. Learning tactics can help prevent that weakness by learning to recognize when someone else is employing a tactic on you. I have a feeling it will be much like it was learning to work in a corporate work environment! You don’t just have yourself to contend with but what others do as well. 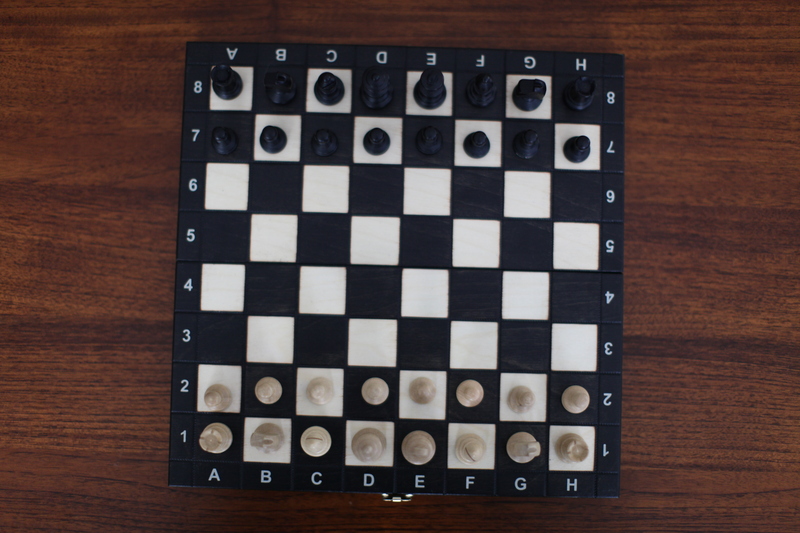 As with learning the vocabulary of a language, with chess it’s good to learn the vocabulary of the pieces in terms of how they move with the board. 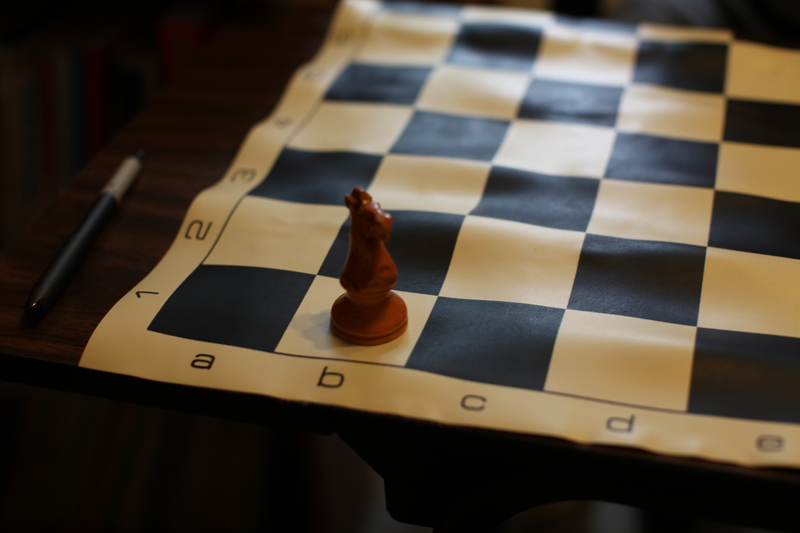 Paul suggests starting with the Pawn Game to understand first how pawns move on the board. The goal is to be first to reach the last rank (other side of the board). 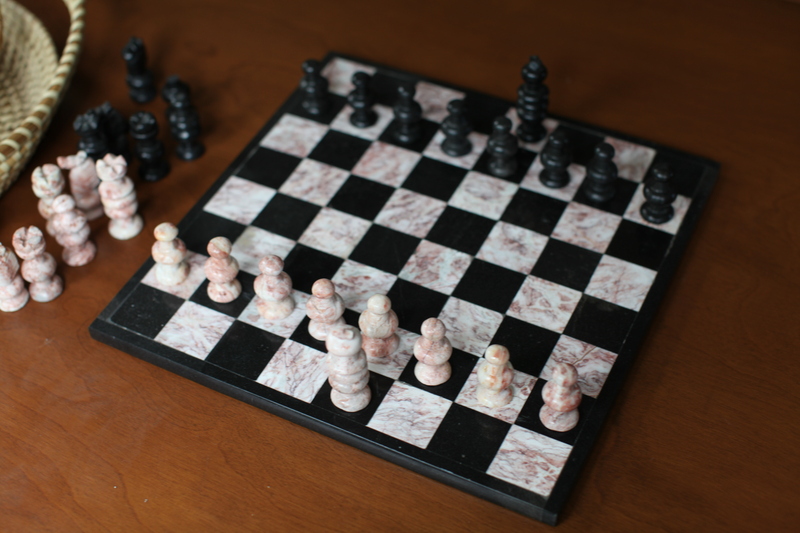 Once you are familiar with pawns you can start adding other pieces and getting a feel for how each piece moves on the board. I really like this approach because I find it hard to try to learn what each piece does all at once. My next lesson is tomorrow, so I have some homework to get done. You are currently browsing the 30 chess category at 52 To Do.